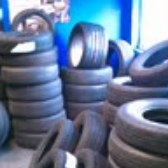 We sell both new and used tires and wheels at affordable and discounted prices. We serve the Brook Park and Cleveland areas, make us your first choice for tire stores when looking for the right tire at the right price. Treated with respect going there alone as a female, although buyer aware! Gave me very fair price. Quick courteous service after getting a freaking flat from debris falling from semi! Ugh! My son went in there sometime last month for a used tire. They sold him a $60 tire that constantly went flat. When he took his tire to check for a rim leak somewhere else. They told him the tire was bad, dry rotted by the rim and full of plugs and holes. They asked my son where he purchased such a messed up tire for $60. They set him up with a good tire at half the cost. They took advantage of a young man. I will never recommend that place. My husband and I purchased a set of supposedly "pretty good" used tires for $80. This was just to get me through being able to buy a whole new set in a couple months. Well, I&apos;ll tell ya I think my almost bald tires were better than the ones they sold us. After they put the tires on my car, we left and headed back after driving on them for about 5 miles. We pulled off the road, took a look to see what the "thumping" noise was and what a surprise, a big bald spot on the driver’s side. We head back, they tell us to pull my car back and they put another one. Which so far seems fine. This was on a Saturday (09/06/14). Monday (09/08/14) - I head to work and hear a noise and my tire pressure warning light comes on. I head into work, come out to leave later that day and the PASSENGERS side was completely flat! All the place said when we called was to come in and they&apos;ll fix it, again, but oh hey, "we close in 45 min". (I am about an hour from them being at work) They wouldn&apos;t even offer to stay open to fix their problem. My husband takes my car the next morning, being late for work, (09/09/14) as soon as they open to have it replaced, again, waiting about 30 minutes. As soon as it’s his turn a van pulled in and the employee stated “I have to take care of these guys first, they do our roof”. Once it’s our turn, they go to change the tire they sold us, and what do you know, two nails in it, that THEY put on my car! They replaced the tire but I am completely unsatisfied with their product and customer service. I’ve purchased used tires before elsewhere and never had any issues with them. I always come here for my tires. I&apos;ve never had an issue with the men mounting, balancing etc or doing whatever to the tires. Even though I am a woman, I do know what needs to be done to the tire to get the job done. One time when I took my car in just to have my tire balanced, the tire wouldn&apos;t balance at all. The gentleman asked me if I had ever used fix a flat on it, and I said yes. The tire had a plug repair so the suspicion was already there. He took the tire off the rim and there was the fluid from the fix a flat. I had no idea that junk stayed in water form. For some reason I thought it changed into foam. that&apos;s why my tire was not balanced. they dont tighten tires on properly!!! I went up there to have a tire put on my rim. The man put my tire on and I then went on the highway and got off on w25th and heard a thudding noise. So I toon the streets back up there and had them check it out. I had 80 pounds of pressure n my tire!!!! I am only suppose to have 42!!! They released some of the pressure which they put in there!!! I left again and still heard the noise!! My husband took the four way and spun it 5 times!!!! My tire could have fallen off with my four children all under the age of 8 which I had in the vehicle!!! I called the man he said not his problem!!! I do not recommend this place at all!!! I had my own brand new tire to. I called Carl Monday and am calling the better business!!!! This is a no frills tire service center. The service was excellent and so were the prices. 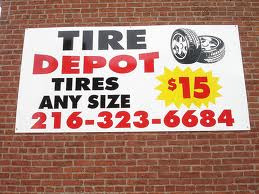 I have already recommended this tire service center to several friends and coworkers already.